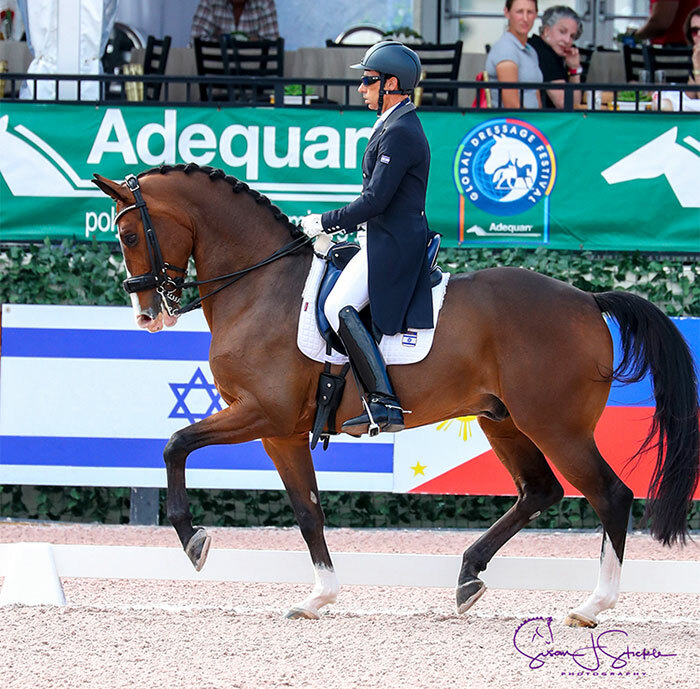 Kiichi Harada of Japan and Egistar, Sahar Hirosh and Whitman of Israel and Ellesse Tzinberg on Triviant of the Philippines attained the score of at least 66 per cent in the Grand Prix toward a berth at the annual championships held once every four years. 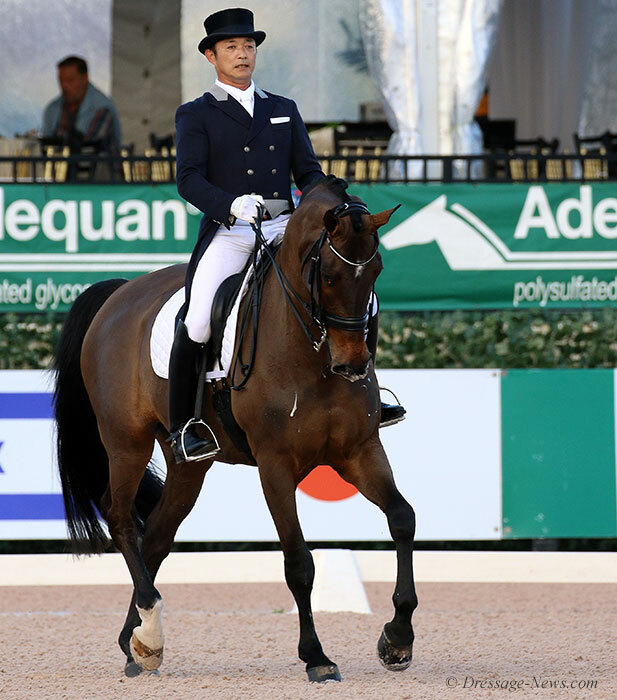 Kiichi and Egistar, who rode for Japan at the 2016 Olympics in Rio de Janeiro, scored 66.261 per cent. 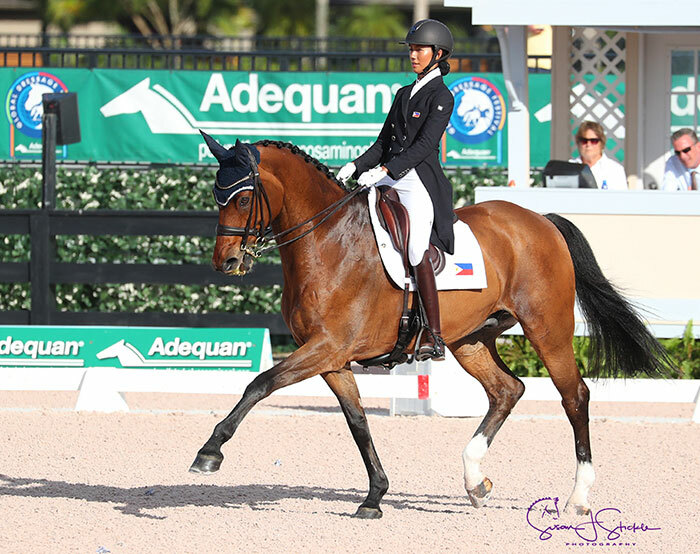 Kiichi, the first Japanese rider to compete at Global at the Palm Beach International Equestrian Center, said: “I’m very happy with this start in the Wellington season. It’s the first time for me and Egistar in that incredible arena and the first really big show after the Olympics so that’s why I’m not sad that he was a bit impressed and a little spooky at the beginning. 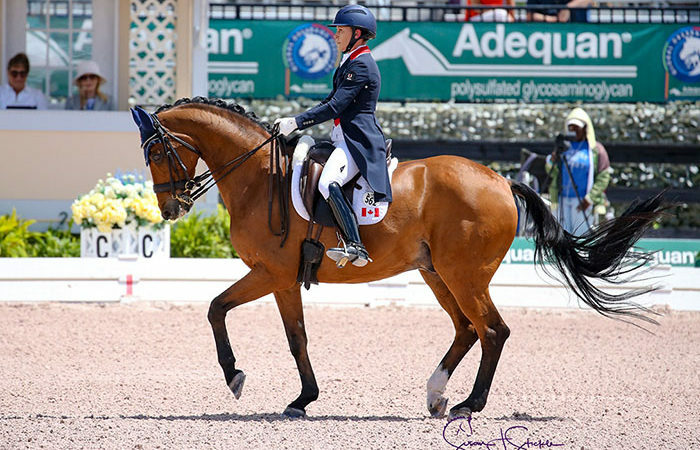 Sahar, who lives in New Hope, Pennsylvania, scored 66.522 per cent on Whitman in the CDI3* Grand Prix. 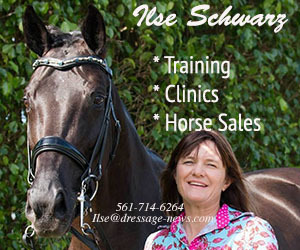 Ellesse Tzinberg, based in Wellington and in her third year as a competitor at Global, scored 66.00 per cent for the first qualifying score on Triviant.